Is shaded tan and blue. Is the very thing he ain't! That comes into his sight. Will not pass his pricked up ears. Than a fifty piece brass band! 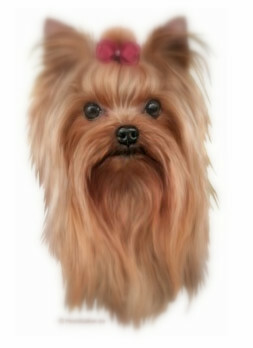 The Yorkshire Terrier has a beautiful silk coat that can be long and flowing or kept in a "puppy cut". The coat is non-shedding and the texture is cool and silky. Because grooming will be an important part of your Yorkies life, getting her used to the experience will make grooming much more pleasant for both your puppy and you later. You can start getting your puppy used to grooming by playing with a soft brush and just a couple of brush stokes several times a day. Start with the puppy in your lap and give lots of praise. Later you can train the puppy to stand on a table or counter to make it easier. Handle the ears, feet, and toenails daily to accustom puppy to grooming. Eventually use the nail clippers to just "tip" a small bit off the ends of the nail. Continue to give lots of praise and treats; puppy will see grooming as a fun thing to do. Rub your finger along her teeth then graduate to a soft doggy toothbrush. Small dogs, like Yorkies, tend to have problems with tarter buildup, and brushing her teeth will go a long ways toward preventing any tooth problems. Some people do most or all of their Yorkies grooming but others take their Yorkie to the groomers. If you are going to be taking the puppy to a groomer, get recommendations from other pet owners and visit before making an appointment. 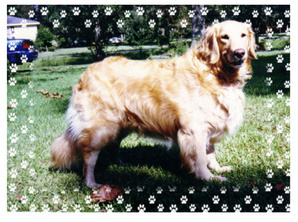 Please have the puppy used to handling and grooming somewhat before taking her to a stranger and a strange experience. Please ask the groomer to NOT use a noose on your puppy. Yorkies have fragile tracheas and nooses can damage the trachea if the puppy pulls against it. either clippers so you can trim the puppy yourself, or more frequent trips to the groomer for styling. Because Yorkies have a non-shedding coat (like human hair) they can be, and should be, bathed regularly. We recommend you bathe your Yorkie every 1-2 weeks. Any good shampoo can be used, just watch that the shampoo is rinsed out carefully and isn't drying the skin or coat out too much. We also use a conditioner and rinse well. It makes the coat silkier and is easier on the Yorkie to brush out while the coat is drying. We use a human hairdryer on the medium setting to dry our Yorkies. Brushing the coat while drying with a hairdryer speeds up the process and makes the coat lay flat and silky. Brushing with a good brush daily (for a few minutes while watching TV is good) loosens and removes dirt, dead hair, and skin cells. It distributes the skin's natural oils throughout the coat and prevents tangles. We recommend and use Frontline or Frontline Plus on our dogs to prevent any ticks or fleas. You can buy it through your vet, a dog supply catalog, or the internet. It is used monthly and is applied on the skin by the shoulder blades. Just be sure and put it on your dog 24 hours before bathing or 24 hours after bathing to be most effective.